This book was a treasure I didn’t know I had acquired. I bought it this past Elvis Week, the 40th Anniversary, just because it was signed by the author and looked old. I either bought it at the Book Sale at Marlowe’s or at Elvis Con. Either way I was just gathering up all the books I could that I thought looked like little gems. 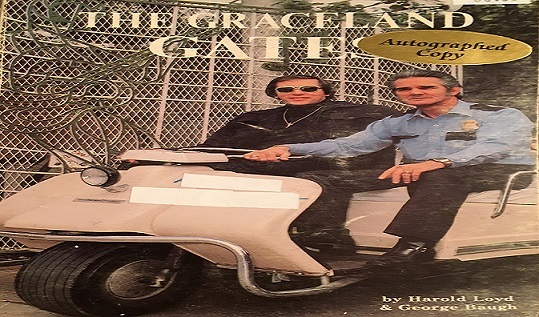 It wasn’t until I got back to the Guest House I realized The Graceland Gates was a first edition (and I believe first printing) and was written in 1978 by Elvis’ first cousin Harold Loyd (I hadn’t realized Harold Loyd was Gladys’ sister’s son). It only has 123 pages and some of those are photos, but it is a great book that I highly recommend. Why I love The Graceland Gates by Harold Loyd so much is because I had never heard any of these stories. 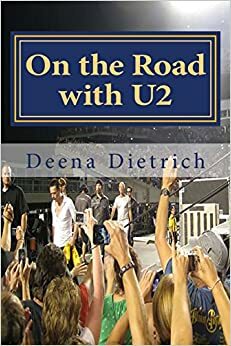 I love reading the memoirs from the guys of the Memphis Mafia, but after a while I read the same stories over and over because they were all there experiencing the same thing. So it was quite refreshing to hear completely new stories relating to Elvis. Harold’s job with Elvis was Gatekeeper and Security at Graceland. And as such, most of Harold’s stories revolved around the happenings at the Graceland Gates with fans, but sometimes they included Elvis (as he would come down to sign autographs) and the guys. What is so sweet about Harold’s stories is he never used any of the guys’ names. It was obvious he did not want to portray anyone in a bad light. 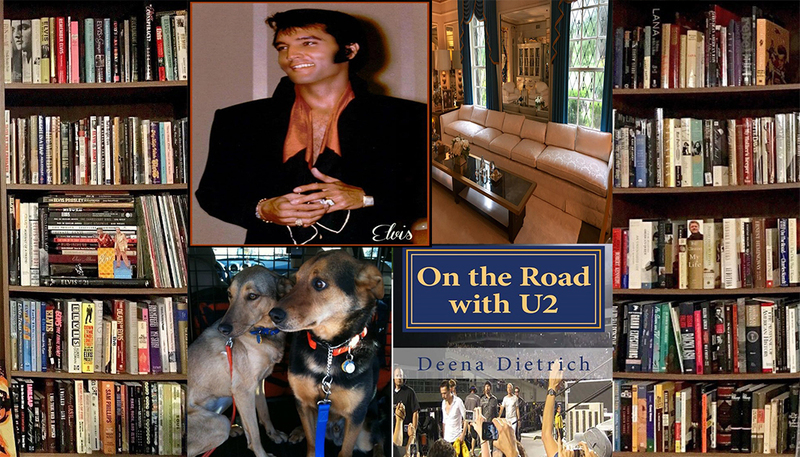 This is a sweet book and a quick read any Elvis fan would be happy with.